A unique look at the Giant Monster genre from Bad Robot! 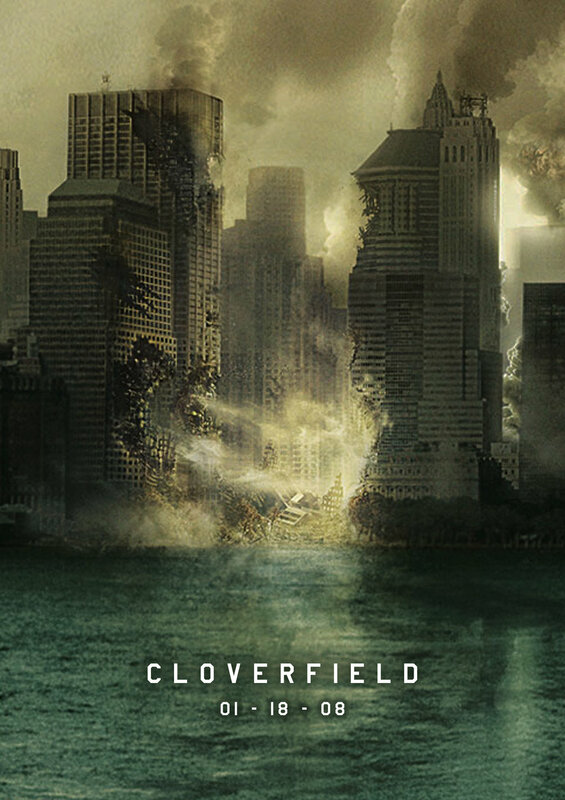 Cloverfield is a 2008 giant monster movie from Bad Robot, the production company responsible for Lost, Star Trek and Alias. The viral marketing campaign that launched ahead of this movie was tremendous! It had fans actively search the internet for clues like articles, videos, blogs, etc. that created amazing hype. I have to admit that I had gotten swept up in it too. I was a big fan of Lost and loved drawing comparisons and relations between these universes. I still do. The film is presented in a found footage format, much like The Blair Witch Project from 1999. The characters are all young adults living in New York City. Rob and his friends Hud, Marlena and Lily are all fighting for survival as their home city is being ripped apart by monsters. 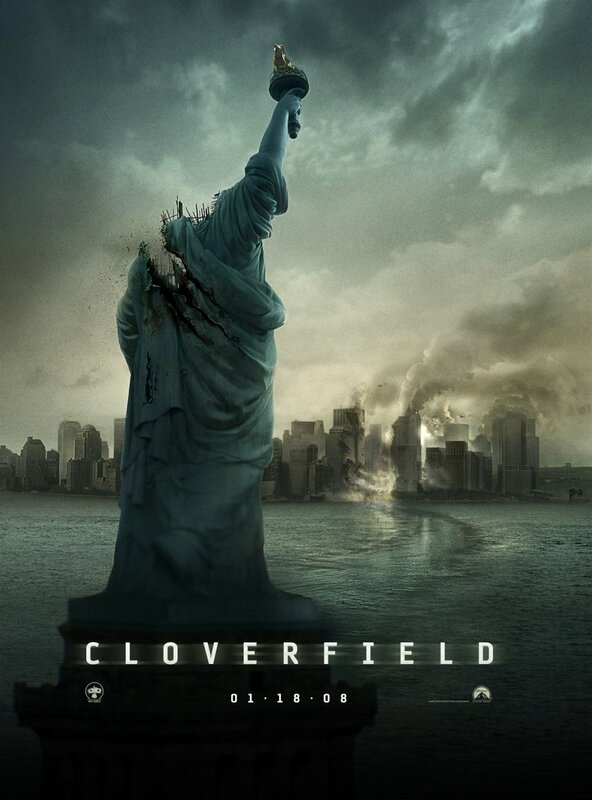 Cloverfield is a tremendous effort. The shaky camera is a definite negative but I found it practical and forgivable. However, I remember some stories of moviegoers passing out or leaving to vomit from motion sickness. 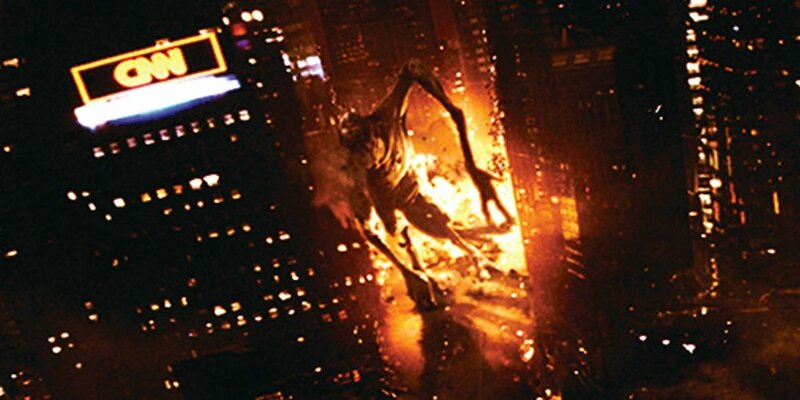 If you have a sensitive tummy, I would suggest giving Cloverfield a pass, or maybe just take a Dramamine. This is the greatest American kaiju film to date. The acting is typical of a film like this. Not terrible, but no one is fishing for an Oscar here. We are treated to TJ Miller’s breakout performance as himself. Jessica Lucas was alright, but Lizzy Caplan and lead, Michael Stahl-David, were the best of the film. Lizzy was great as Marlena. I really enjoyed the dynamic between her character and Hud, TJ Miller. They all did a great job, but Michael Stahl-David carried this whole film on his back. As our lead, Rob spends the most time as the focus of the film. Stahl-David does a great job of blending into the universe and becoming a great character. The movie is terrifying and depressing. 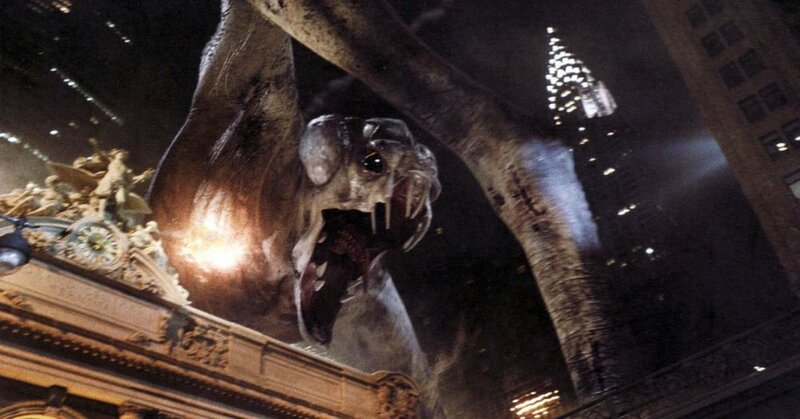 The Cloverfield Monster is huge and wreaks some awesome havoc to New York. The destruction scenes were subtle and masterfully done. The head of the Statue of Liberty in the street is such an iconic image. The little monsters were vicious and they had that nasty bite that killed you in a pretty grotesque way. The ending was full of dread. Do yourself a favor and stay through the credits. Listen to the quiet voices. This is more than just a movie.